Thirty fully operational T-34-85 tanks recently arrived in Naro-Fominsk near Moscow, Russia. The tanks had previously been in service with the armed forces of Laos. They were returned to Russia as part of military cooperation between Laos and Russia. For Russia and its Ministry of Defence, T-34 tanks are an important part of the country’s historical heritage and one of the most powerful symbols of World War II on the Eastern Front. The tanks were shipped from Laos to Vladivostok and then brought to Naro-Fominsk by train. 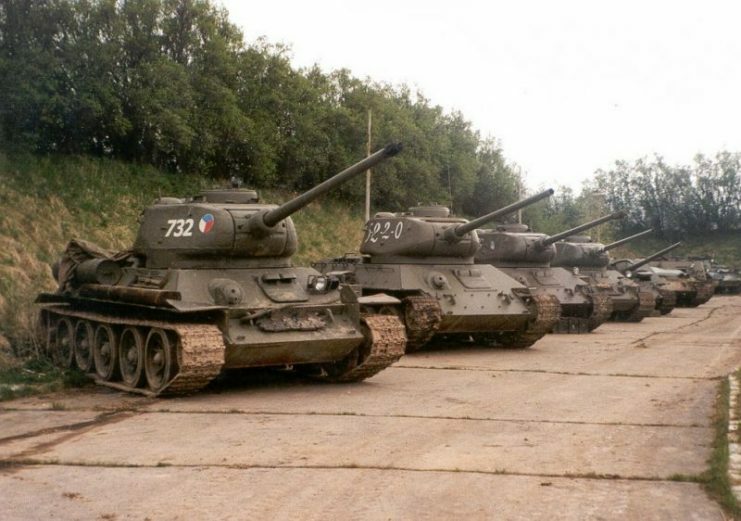 According to the Russian Ministry of Defence, some of the tanks will now be used for parades and movie production. 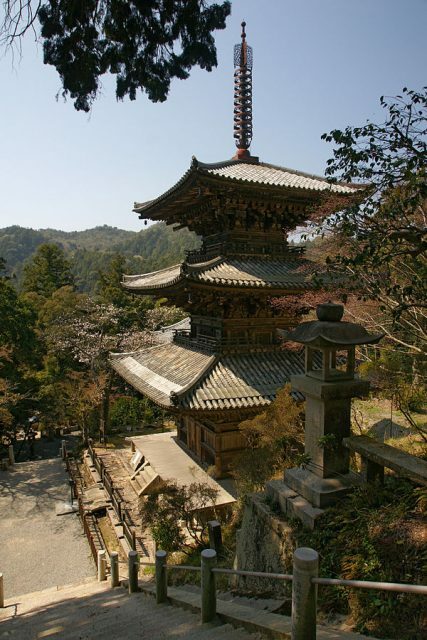 Others will go to different museums around the country. Tank officers say that the tanks are in good technical condition and driveable. The T-34 is a medium Soviet tank that entered service in 1940 and became a workhorse of the Red Army’s tank troops in WWII. 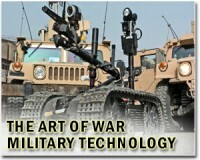 It was the new generation tank that emerged as a response to rapid development of anti-tank weapons and the vulnerabilities of earlier generation T-28, T-26, and BT tanks. The T-34 featured sloped armor that could resist light anti-tank guns, 76.2 mm cannon, wide tracks, and a powerful V-2 diesel engine. The tank came as a shock to the Germans in 1941 in the first days of the Nazi invasion of the USSR. However, back in the summer of 1941, T-34s still suffered from the technical drawbacks of early production models and their tactical deployment left a lot to be desired. Distribution of responsibilities among the crew members was not optimal, as the tank commander was also the gunner. He was clearly overloaded with work in the early version of the tank. Other drawbacks included poor optics, a weak radio, and lack of general comfort for the crew. In the Battle of Moscow the 4th Tank Brigade, equipped with T-34s under Colonel Katukov, fought a highly successful delaying battle south of Tula, deploying T-34s in ambushes along the route of the German advance. Successful actions of the 4th Tank Brigade under Katukov led to its transformation into the 1st Guards Tank Brigade. 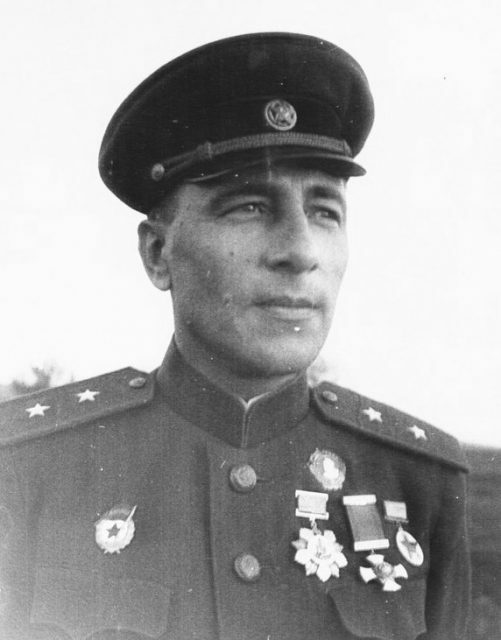 Top Soviet ace Senior Lieutenant Dmitry Lavrinenko, who destroyed 54 enemy tanks and assault guns, fought with a T-34 before being killed in action in late November 1941. 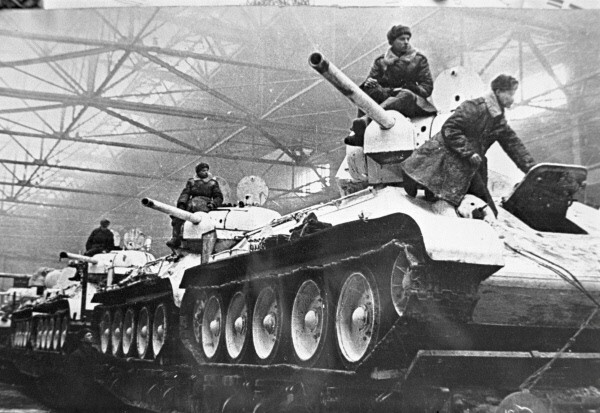 Mass production of the simplified T-34 model picked up in late 1941 and early 1942. A hexagonal turret with a commander turret was introduced in 1942, which redistributed roles within the crew and eased the burden on the tank commander. However, it was obvious that the 76.2 mm tank cannon could no longer effectively cope with the new German armor that was present at the Battle of Kursk. 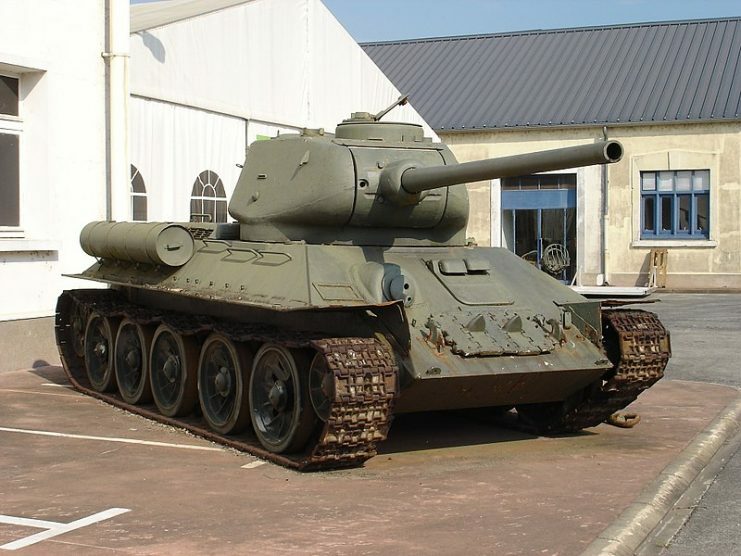 A new T-34 version with a bigger turret and a powerful 85 mm long-barreled cannon was introduced in the summer of 1944. Its armor was not improved, however, and by 1945 it was rather thin and vulnerable to most German anti-tank weapons. 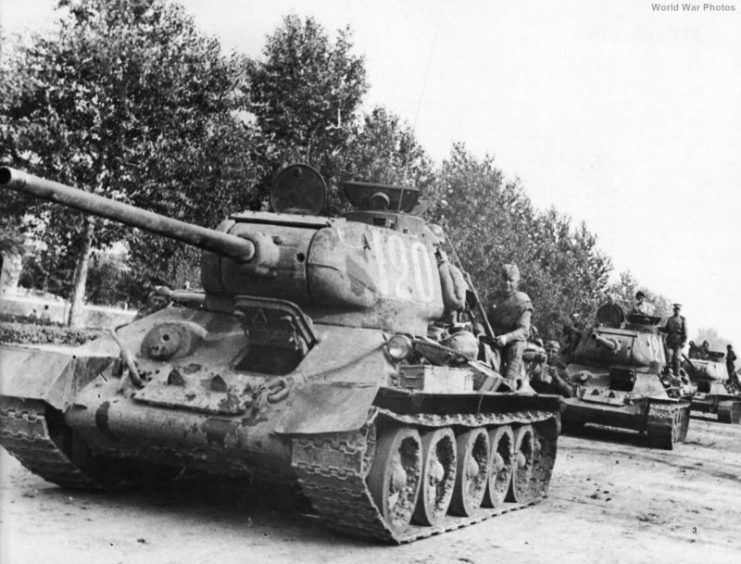 Over 8o,000 units of all variants of the tank were produced. Due to its high battle effectiveness and simplicity of production and maintenance, the T-34 is often named the best tank of WWII. A flamethrower version of the tank was also produced in small numbers. The tank was also used by Poland’s People’s Army (LWP), Czech troops, and other Eastern Bloc countries. 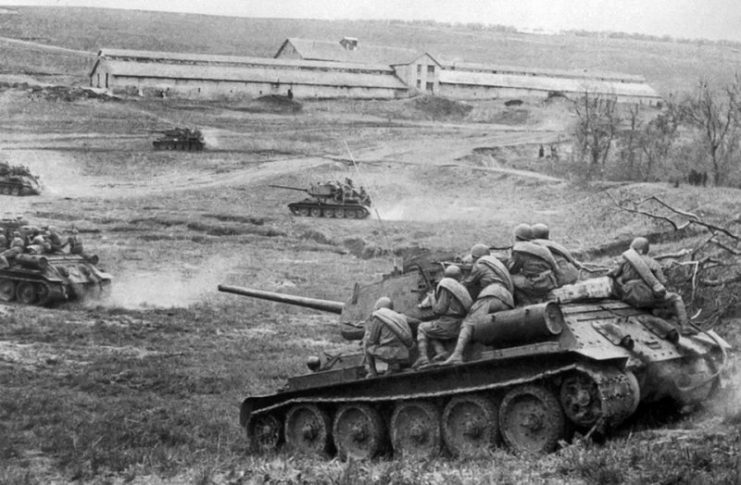 Axis troops used captured T-34s in varying numbers. After WWII the T-34 served in numerous armies around the globe, and is apparently used in localized conflicts even in the present day. 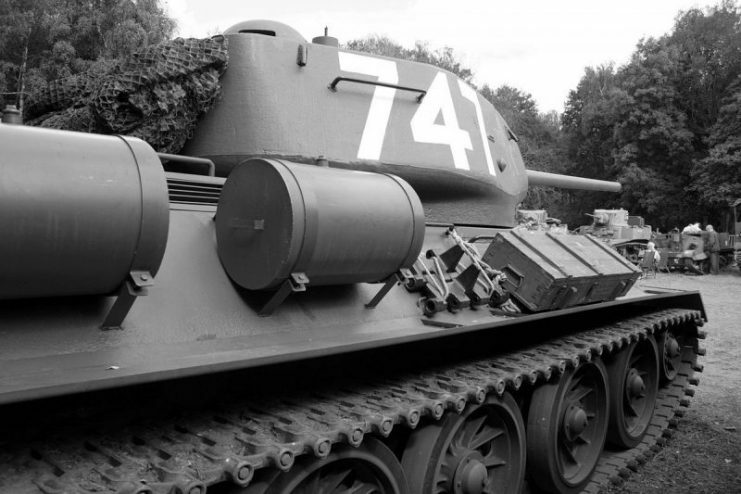 Dozens of T-34 tanks are installed as WWII monuments across Eastern Europe. 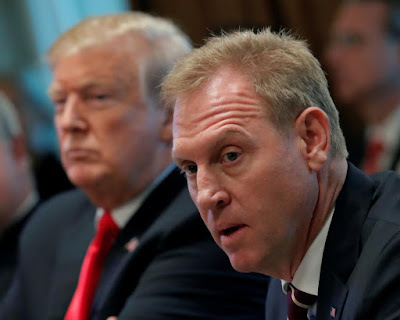 They are so numerous that there is a joke in Russia that all the tanks on memorials are fully operational and are a secret, disguised tank army that can be deployed in battle. • Yevgenia Kostrikova, daughter of Soviet leader Sergey Kirov, volunteered for the front in 1941 as a medic. After being wounded and recovering, she underwent tank officer training and fought on a T-34. 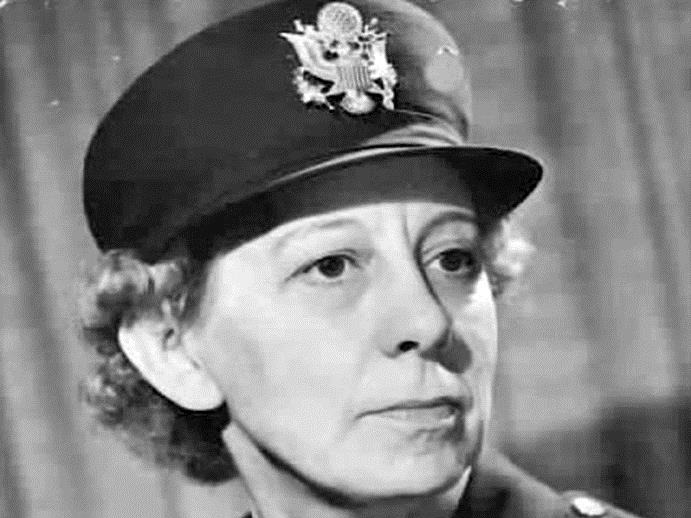 In 1945 she was a Guards Captain and a company commander leading thirteen T-34-85 tanks. • Soviet widow Maria Oktyabrskaya funded the construction of a T-34 tank after learning that her husband was killed in action. She underwent training and fought on this T-34, named “Battle Girlfriend,” as a driver until her death in action on January 18, 1944. • In the 1970s, Poland produced an extremely popular TV series called Four Tank-Men and a Dog, about a T-34 crew in the Polish Army in 1944-45. 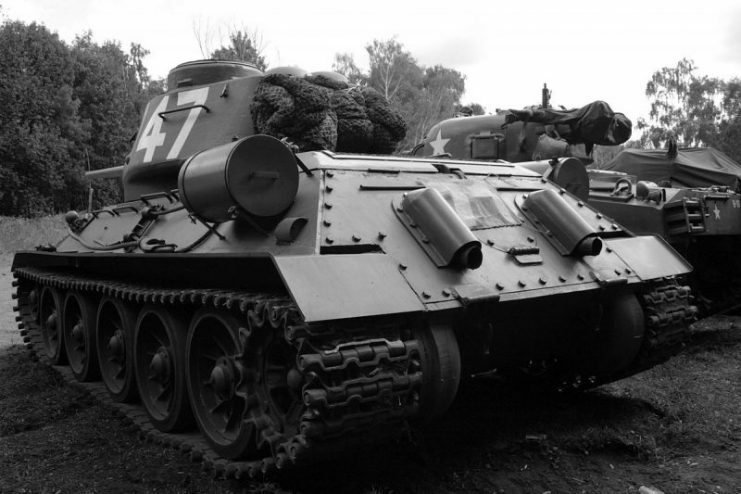 Read another story from us: Was the Russian T-34 Really the Best Tank of WW2? 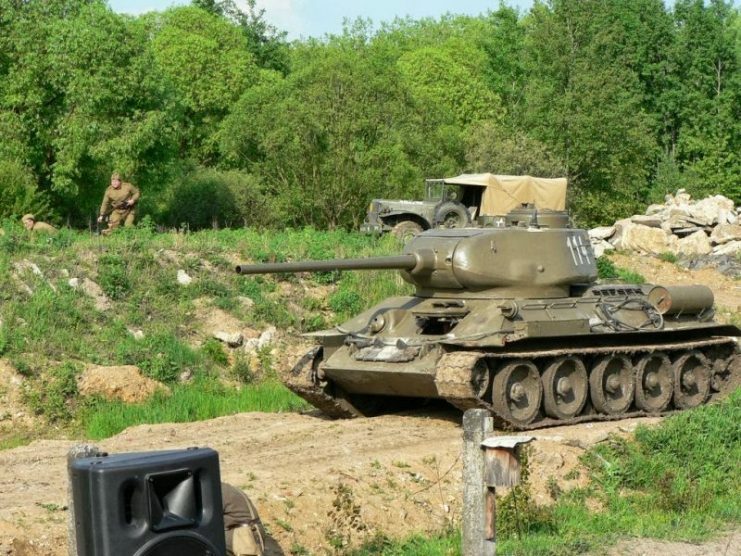 • The new Russian war movie that is named, well, T-34 has just hit the big screens. 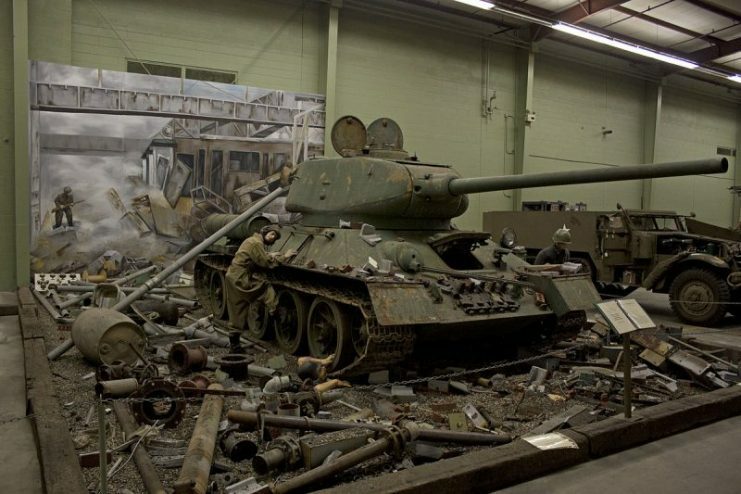 • There is a small museum dedicated solely to the T-34 tank near Moscow in Dimitrov. • An early T-34 captured by the Finns is now on loan display in the Bovington Tank Museum, UK.